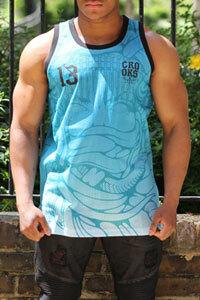 Mens streetwear tank tops are great for the summer holidays abroad, especially if want to maximise your exposure to the sun and look stylish on the beach. 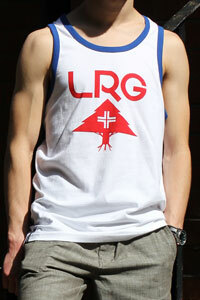 Discover our huge range of graphic tank tops and men's sleeveless vests. 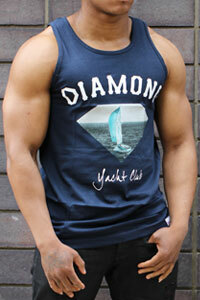 If you like keeping fit we have sports tank tops that will boost your confidence while you train in the gym. 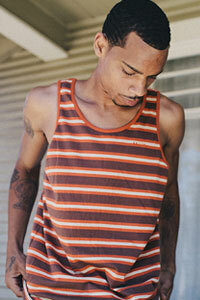 Want to show off your tattoos, check out our Tattoo inspired tank tops by Famous Stars And Straps or Rebel8. Whatever your preference is we have the styles to suit your needs, choose your perfect tank top today from one of our leading streetwear brands such as crooks & castles, Brixton, or diamond supply co, Mishka Pink Dolphin or Lrg.